There’s always that one dish at Thanksgiving dinner that you just CAN’T EVEN wait to stuff your face with. Some may say that’s true about almost everything on the table at Thanksgiving, and I’m over here raising my hand agreeing with you! But there’s usually that one that you KNOW you’ll be having seconds (or thirds,I won’t judge) of. This casserole is that dish for me. 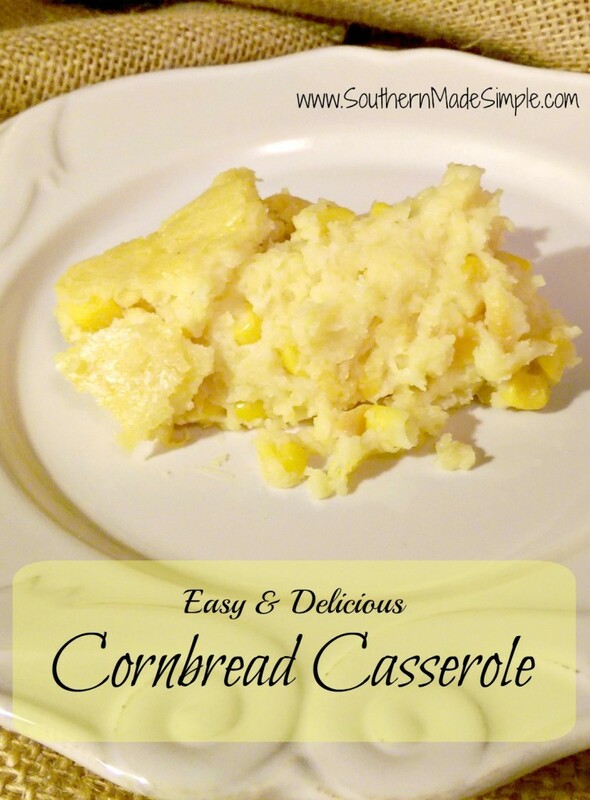 When I think of comfort food, cornbread casserole is one of the first that comes to mind for me. It’s full of warm, creamy, and savory corn-tasticness that almost melts in your mouth. It’s SO simple to make, too! I usually always have the ingredients on hand, because I love to take this dish to church events and family gatherings. It’s always on my menu for Thanksgiving dinner, but it’s great any time of year. I’ve had several people ask me for this recipe, and I’m so happy to share it with y’all! If you’re looking for something with a little spice, try adding a can of Mexican corn in place of the regular corn. You could even substitute Mexican cornbread in place of the Jiffy Mix! Do you have a favorite dish during the holidays that you’re always SO excited to eat? I always love to hear others share what they MUST have during Thanksgiving or Christmas dinner!